Weâ€™re going to take a look at how to make a simple art brush in Illustrator. A tapered line can give a lovely effect on illustrations and theyâ€™re easy to make. 1. Create a new Illustrator document. 2. 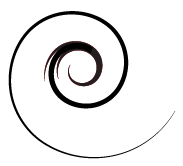 Using the Ellipse tool , draw out a small circle, any colour you like. Make sure that the circle does NOT have a stroke colour. Hold down the Shift key as you drag out to get a perfect circle. 3. Using the Direct Selection tool , click on the bottom anchor point of the circle and drag it down to create a longer tapered shape, like the one you can see below. Optional Step. 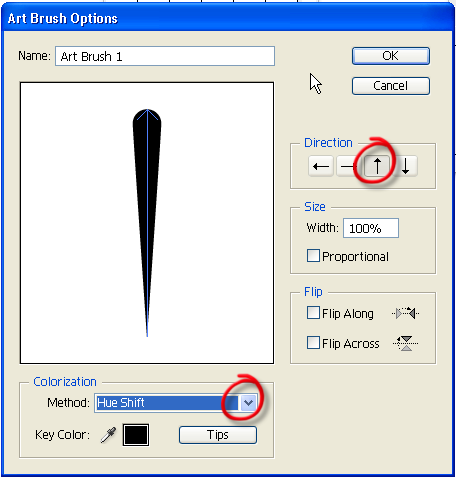 If you would like a very pointed, tapered brush, then select the Convert tool (Shift + C), itâ€™s hidden under the pen tool. Click once on the bottom anchor point that you dragged out. This converts the point from being a curve to a straight point, giving you a much sharper point. 4. Open the Brushes Palette (press F5 or choose Window > Brushes). 5. Click on the New Brush icon at the bottom of the palette. This opens up the new Brush dialog box. Choose New Art Brush and then click OK.
6. The option for you new brush open. There are only a few settings we need to think about here, and then weâ€™re finished. a) Set the brush direction to up. b) Set the Colorization Method to Hue Shift. That just means you can make your brush stroke any colour you want when youâ€™re using it. c) Give your brush a name. 7. You should now see your new brush in your Brushes palette, ready to use. 8. 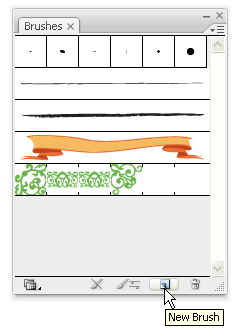 Remember that you can apply brush strokes to any path, not just paths drawn with the brush tool. 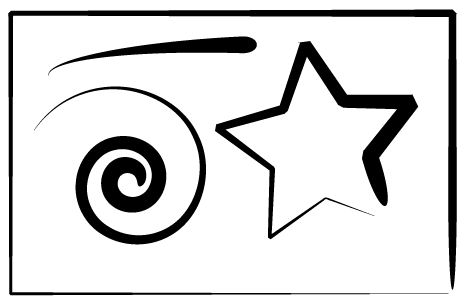 So you drag out a star shape, scribble with pencil, or draw a curve with the arc tool and then just click on the brush stroke in the Brushes palette and voila! 9. Once youâ€™re happy with your brush, you need to save it. Click on the folder icon at the bottom of the Brushes palette and choose Save Brush Library. (Note: Iâ€™m using CS3 here. On previous versions just click on the Arrow icon at the top right of the palette to open the drop down menu, and choose Save Brush Library). Give it a name and choose Save. The next time you want to use it, go to the Brushes Palette again, click on the folders icon at the bottom and choose Open Brush Library. 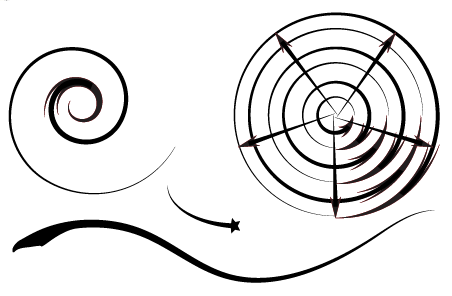 You can make lots of interesting tapered brushes in the same way. Simply vary the shape you draw out to begin with. Instead of a circle, try a triangle or a simple leaf shape. Hereâ€™s a few others I made using the same steps. If you’re new to Illustrator and would like to learn more about the drawing tools, check out the series I wrote earlier this year.